Monroe County, Florida, is seeking contractors for the re-roofing of the Pigeon Key Bridge Foreman and Bridge Tender houses in Key West. The buildings are located on the island of Pigeon Key, a five-acre island that has been incorporated into a U.S. historic district. 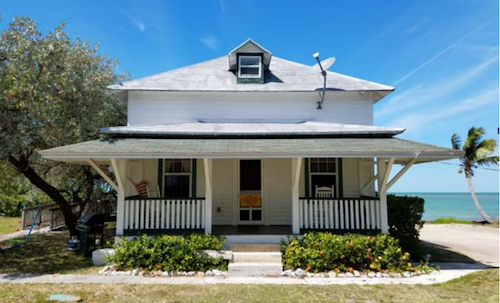 In the early 20th century, the island was a base camp for workers constructing the original Seven Mile Bridge, with nearly 400 workers on the island at one time. The Bridge Tender's House and Bridge Foreman’s House date back to the early 1900s. Monroe County, Florida, is seeking contractors for the reroofing of the Pigeon Key Bridge Foreman (above) and Bridge Tender houses in Key West. The buildings are located on the island of Pigeon Key, a five-acre island that has been incorporated into a U.S. historic district. Bids are due for this project by Feb. 6. The awarded contractor is responsible for the removal and replacement of the existing top layer of the Bridge Foreman and Bridge Tender homes. The roofs are made up of non-historic Victorian-style metal shingles and sheathing, but must have the historic Flintkote roof located underneath these layers, protected. The contractor will be responsible for the proper repair or replacement of historic wood to match the original. When completing work on both homes, the contractor is to oversee the cleaning and coating of the exterior, ferrous metal handrails with one coat of a zinc-rich, rust inhibitive paint and two coats of a low-lustre latex. Any surfaces that are rusted are to first be coated with a metal surface primer prior to the three-coat system. In the early 20th century, the island was a base camp for workers constructing the original Seven Mile Bridge, with nearly 400 workers on the island at one time. 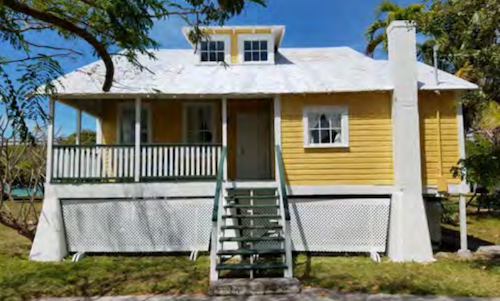 The Bridge Tender's House (above) and Bridge Foreman’s House date back to the early 1900s. Exterior galvanized metal surfaces are scheduled to be pretreated with a galvanized metal primer and three coats of an alkyd house paint. New galvanized metals are to be solvent cleaned prior to coating applications. The contractor is also responsible for the cleaning and coating of exterior wood including doors and trim with either a three-coat medium latex or high-gloss house paint finish. The contractor will oversee the coating of interior gypsum surfaces with a three-coat latex system. All coating colors for this project are to match the existing siding and trim or must be selected and approved by the architect. Owner-approved brands include: Benjamin Moore, Sherwin-Williams, Sinclair, Thoro, Glidden, Frazee, Dunn-Edwards or a pre-approved equal.